WINNER'S CIRCLE: 2016 champ, Marsha Jarrett, accepting one of her trophies at last year's finale. It’s become one of the most avidly anticipated events on the local music calendar, but this year it marks a significant milestone. 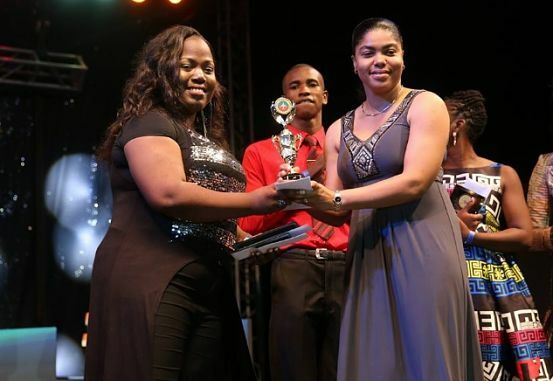 The National Gospel Song Competition, organized each year by the Jamaica Cultural Development Commission (JCDC) is celebrating its 30th anniversary this year, making it the longest-running gospel-based competition in Jamaica’s history. Though the New Year has just begun, the JCDC is determined to get the ball rolling early. The auditions round kicks off on Tuesday, Jan. 24, and the competition is expected to gain momentum leading up to the grand finale in August, where the winner and runners-up will walk away with a wide range of attractive prizes. The Central Region is where the auditions begin on Jan. 24, at the St. Mark’s Anglican Church Hall in Mandeville. On Wednesday, Jan. 25, judges and hopefuls will meet for the Western Region auditions at the Hollis Peter Lynch Hall in Westgate, St. James. The action then moves up north on Jan. 26 for auditions at the Emmanuel Baptist Church in Port Maria. Kingston’s Eastwood Park New Testament Church of God is expected to draw a large turnout for the Eastern Region auditions on Friday, Jan. 27. Auditions begin at 10am daily, with registration at 9am. To learn more about the 30th anniversary plans for the National Gospel Song Competition and to get an entry form, visit www.jcdc.gov.jm or call 926-5726.